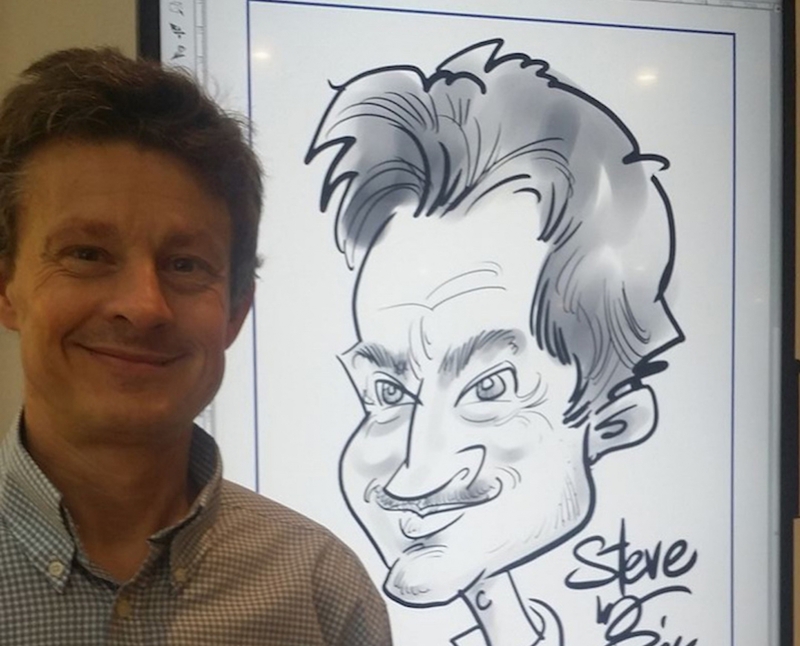 Rick has been working as a full time caricaturist and cartoonist for 20 years in the studio and on-the-spot at corporate events. 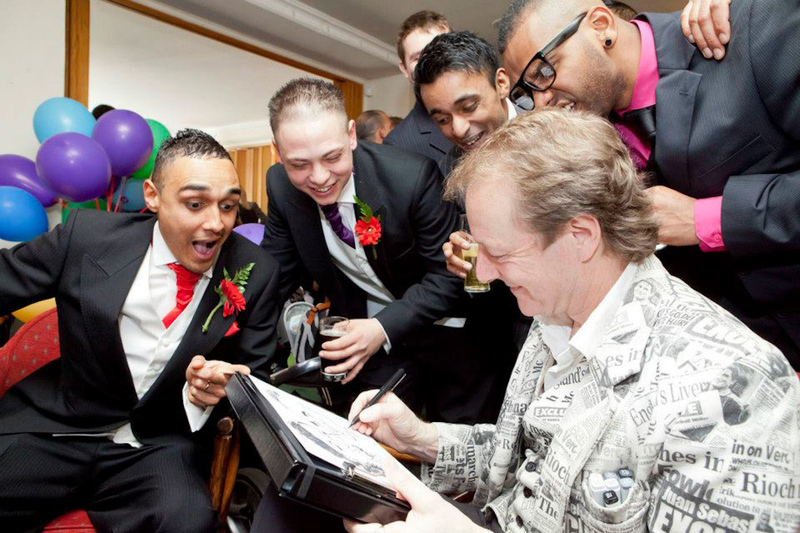 When working on-the-spot, either traditionally or digitally, Rick’s style is funny and complimentary, making him a favourite at weddings and other celebrations. His live work takes him to all types of events across the country and abroad including exhibitions, grand prix, conferences, weddings, Bar and Bat Mitzvahs, product launches and golf days. Whether it’s a massive event or a small gathering, your guests will be entertained with funny, fantastic caricatures, creating a unique memento to remember the event by. "Everyone thought the caricatures were great and we really enjoyed it!" "You worked so hard all evening and we were amazed by how many of our guests you were able to draw." "Absolutely brilliant! Your caricatures have been the only thing people can talk about in the office."